Kasia initially started racing in karts, competing in many club events and culminating in two seasons in the National Super One Karting Championship. By 13 years old she had set her sights on a move into cars, initially getting an MSA Race car license, and at 14 a MSA Rally license, she then made history in 2010 by becoming the youngest ever Driver to enter a British Stage rally aged just 14 years and 8 days old! After three years in the Formula 1000 Junior rally championship, Kasia was selected for the Motor Sport Associations young driver development programme, the MSA Academy. 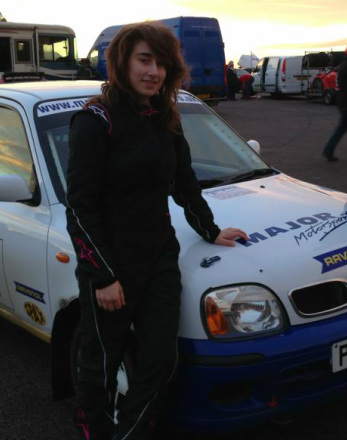 In 2013 Kasia used one of the Major Motorsport 1.4 Nissan Micra hire cars to win her class in the Association of Eastern Motor Clubs (AEMC) Championship!